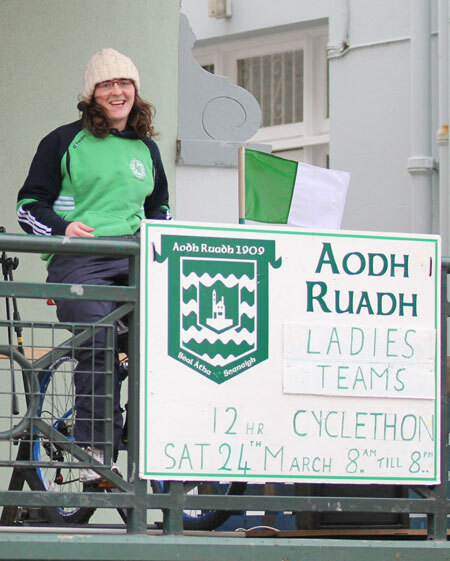 The Aodh Ruadh Ladies had a busy weekend this weekend, as they took to their bikes bright and early Saturday morning to commence the annual Cyclothon. 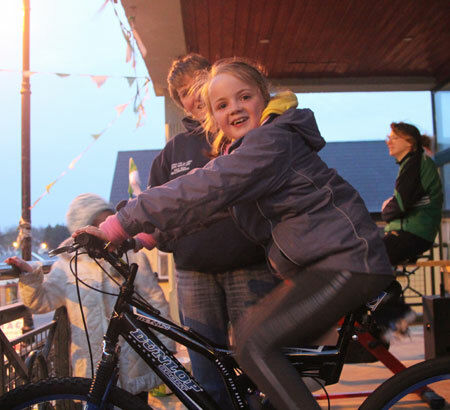 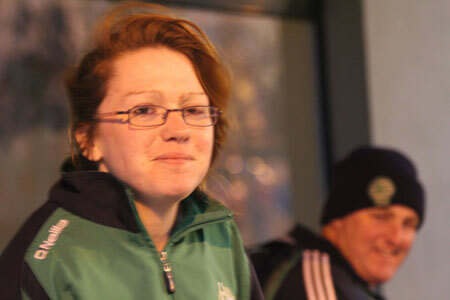 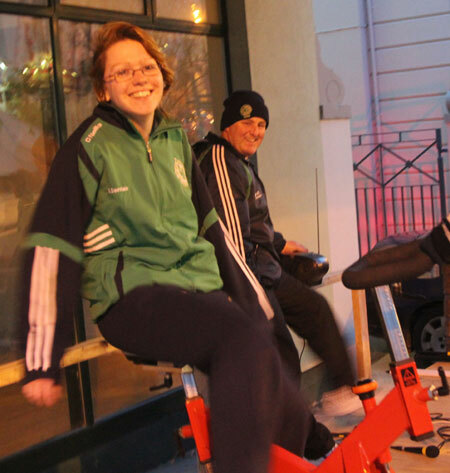 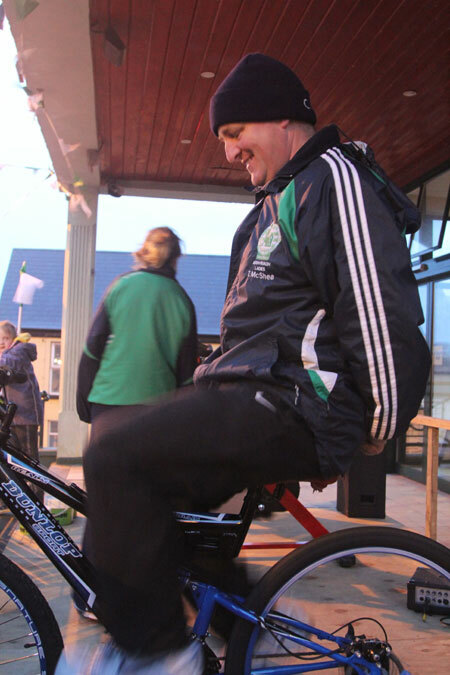 A huge thank you goes out to all who turned out on the day to pedal on the day, from some of our younger members, Eve Flood, Beth Flood, Gr�inne, Br�d�n and Rois�n Maguire, right up to Father McManus who came along and took his turn on the bike, as well as the two main men behind the Ladies Terence McShea and Teddy Kane. 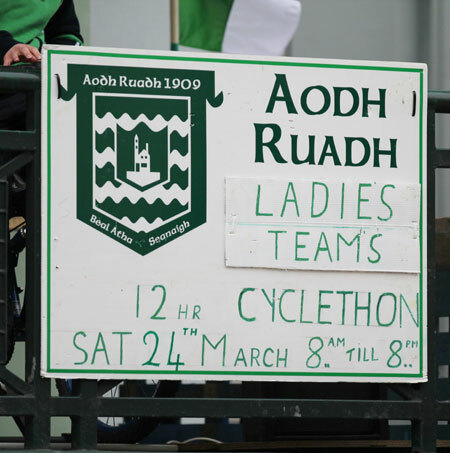 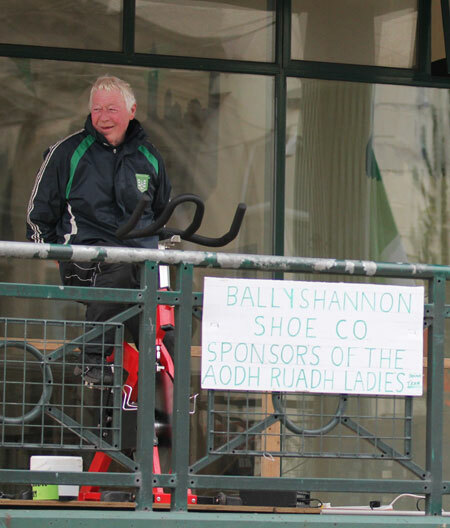 Of course a huge thank you goes out to all the people who supported the Aodh Ruadh Ladies club on the day in their quest to raise funds, which are much needed to help keep the club a float.